Canine Cushings disease or Hyperadrenocorticism is a serious disease that is most often seen in middle aged and older dogs; some breeds are more prone to this disease than others. 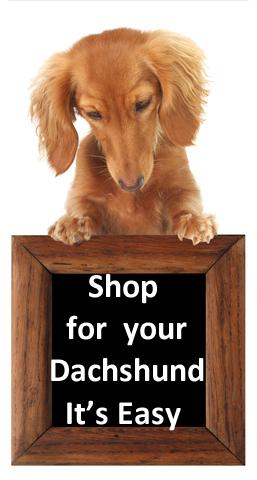 Dachshunds are one of the breeds that are affected by this disease, along with Poodles, Boxers, Beagles and others. Sometimes this disease can be mistaken for symptoms of old age or an infection in the urinary tract. What is Canine Cushings Disease? The two endocrine glands involved in Cushings disease are the pituitary gland which sits at the base of the brain and the adrenal gland which is found in the area of the kidneys. The adrenal gland produces cortisol which is important for normal body function but it is when an excess of the corticosteroid hormone is produced that Cushing's disease develops. The leading cause for the excessive corticosteroid hormone production is usually a tumor, either in the adrenal or pituitary glands. These tumors called adenomas, are slow growing and not normally life threatening. Most dogs suffer from pituitary-dependant hyperadrenocorticism, which is when a tumor has grown on the pituitary gland, causing this gland to product excessive amounts of a hormone known as adrencorticotropic (ACTH) hormone which travels through the blood to the adrenal glands. This leads to an over stimulation of the adrenal glands where excessive amounts of corticosteroid hormone are then produced. Dogs affected with this disease show a marked increase in thirst which in turn increases their urine output, the dogs appetite often increases also. Affected dachshunds will often show a pot-belly appearance, suffer from a lack of energy and put on extra weight. Their skin often develops an unhealthy look becoming thin and greasy; this can also be accompanied by loss of hair which can result in baldness. Medication, surgery and also radiation therapy are treatments used to control Cushing's disease. If tumors in the adrenal gland are the cause then surgery may be used but medication is also an option. If the tumour is in the pituitary gland, surgery is not usually done as this operation is very complex. Medication or radiation therapy is the usual treatment. With this disease there are a number of prescription medications available, such as Vetoryl, Anipryl and Lysodren. Some owners have chosen an alternative treatment; for a number of reasons, perhaps their dog may be having bad reactions to the drugs prescribed or perhaps they are just not happy with using drugs and want to find a natural approach. Whatever your reason, with any alternative treatment, it’s still important to continue to work closely with your vet to monitor your dog’s condition; vets are professionally trained so keep them in the loop. In the world of herbal and holistic remedies there is a wide choice, but the one that seems to work particularly well for many dogs with this disease is Cushex Drops a 100% herbal remedy from PetAlive. Ensure treatment is well supervised by your vet, regular checks and blood tests are required; Keep a regular check on your dog’s water consumption and also his activity level. Once your dachshund is stabilized, visit your vet promptly if there are any significant changes. Diet is also important with this disease a diet of raw food is helpful as many of the nutrients that are important to your dog’s health are lost when food is cooked. You can prepare food yourself or perhaps you would prefer to try Easy Raw Dehydrated Dog Food from Natural Pet Store. Canine Cushings disease usually requires lifelong management, but with close monitoring dogs affected can typically lead a good life.